After Jorge L. Molina-Gomez was indicted for “possession with intent to distribute one kilogram or more of heroin, in violation of 21 U.S. Code § 841(a)(1) & (b)(1)(A)(i)”, he filed a motion to suppress the heroin. U.S. v. Molina-Gomez, 781 F.3d 13 (U.S. Court of Appeals for the 1st Circuit 2015). On August 6, 2012, at approximately 11:00 p.m., Molina arrived at the Luis Muñoz Marín International Airport in San Juan, Puerto Rico, via Panama, after a five-day trip to Colombia. This was the third time in four months in which Molina had taken a short trip to Colombia, a known source of illegal narcotics. As a result, the [Customs and Border Protection (“CBP”)] computer system flagged Molina for questioning. Upon deplaning, Molina was referred to secondary inspection, where he claimed one carry-on bag, one computer case holding an ACER laptop computer, and one small bag containing a Sony Playstation. The carry-on bag contained personal belongings, three cell phones, and a Western Union money gram in the amount of one million Colombian pesos (approximately $560) sent to Molina at the Hotel Galaxy the day after he arrived in Colombia by a Colombian man named Rodolfo Trochez Sardí. In response to the CBP officers' questions, Molina explained he traveled to Cartagena, Colombia, for four days to visit a friend, `Camilo,’ whom he met through another friend named Cynthia. He stated that he purchased his ticket for $500 on the COPA Airlines website using a credit card, but that he did not have the credit card with him. Molina told the CBP officers that while in Colombia he stayed at the Hotel Galaxy and did not leave his hotel room, but rather just ate and played games on his Playstation. answers raised the CBP officers' suspicions, and further questioning and investigation revealed problems with Molina's story. For example, Molina did not know either Camilo or Cynthia's last name. And, contrary to his assertion, Molina did not purchase his plane ticket online via credit card, but rather it was purchased in cash at a Cali, Colombia travel agency. Indeed, all three of Molina's Colombian trips were booked with cash through this travel agency. Molina was then escorted to a small (approximately ten-foot-by-ten-foot), windowless room containing one desk where he was patted down and subjected to further secondary questioning. He was in this room for approximately two hours and was asked about his trip to Colombia, his intentions upon reentry, and drug trafficking generally. The record is unclear as to what specifically the CBP officers asked and what Molina's responses were. He did, however, tell the officers that he had to work the following morning at 8:00 a.m., and he denied any involvement in drug trafficking. While this questioning was ongoing, other CBP officers were inspecting Molina's belongings. They X-rayed his laptop, Playstation, and three cell phones and saw no contraband. They also confirmed that the electronics were all operational, but noted that while the laptop turned on, it contained no data despite being an older model. A review of the three cell phones showed text messages from Camilo, Sardí, and numerous unidentified others. These text messages involved money transactions totaling approximately $8,000 and referenced money Molina had already received and money he would receive once he arrived in New York. The phones also revealed a confirmed plane ticket from San Juan to New York for 9:35 the following morning, contradicting Molina's statement to CBP officers that he would be working in San Juan at 8:00 a.m.
[g]iven all of these red flags, the officers suspected Molina was smuggling narcotics. Because the pat-down yielded no results and the X-ray of Molina's electronics came back negative, the officers were concerned that Molina was carrying drugs internally. They explained the situation to Molina, and he voluntarily consented to a medical exam. At around 1:45 a.m., Molina was taken, in shackles, to San Gerardo Hospital. An X-ray exam was inconclusive, so a CT scan was performed and his bowel-movements were monitored. These tests confirmed that there were no foreign objects inside Molina's body. Later that day, at around 6:00 p.m., he was released from the hospital and transported back to the airport. Upon returning to the airport, Molina was released by CBP and allowed to enter the United States. He was given all of his belongings except for the laptop and Playstation, which were detained for further examination by the CBP Forensics Laboratory because a dog-sniff `showed interest’ in the laptop. Molina was given a pamphlet explaining the electronic-device detention process and whom to contact to inquire about the property. the laptop and Playstation were received by the CBP Forensic Lab. The detention ticket indicated that the detention was for `data extraction’ but this was in error, as the electronics were detained in order to be searched for hidden contraband. Indeed, no data extraction was ever conducted. Beginning on August 11, Molina started calling the CBP to inquire about the status of his electronics and when they would be returned. On August 24, a CBP forensic chemist disassembled the electronics and found black bags hidden inside sophisticated compartments of both the laptop and Playstation. The bags' contents tested positive for heroin -- 511 grams in the laptop and 1.05 kilograms in the Playstation. CBP, in coordination with ICE, called Molina to inform him that his electronics could be picked up at the airport. When Molina arrived later that day, he was arrested by ICE agents. The agents read Molina his rights, which Molina subsequently waived. He confirmed that he owned both the laptop and the Playstation, that he took them to Colombia and intended to return with them, that he had planned to travel to New York the morning after he returned to Puerto Rico but never did so, and that his trip to Colombia and New York were paid for by Sardí. U.S. v. Molina-Gomez, supra (quoting U.S. Const. amendment IV). well established . . . that `the 4th Amendment's balance of reasonableness is qualitatively different at the international border than in the interior’ due to the `longstanding concern for the protection of the integrity of the border.’ U.S. v. Montoya de Hernández, 473 U.S. 531 (1985). This concern is, `if anything, heightened by the veritable national crisis in law enforcement caused by smuggling of illicit narcotics.’ U.S. v. Montoya de Hernández, supra. As a result, there is a recognized `border search exception’ to the warrant requirement. See U.S. v. Ramsey, 431 U.S. 606 (1977). . . . International airports such as the Luis Muñoz Marín International Airport are the `functional equivalent’ of an international border and are thus subject to this exception. U.S. v. Robles, 45 F.3d 1 (U.S. Court of Appeals for the 1st Circuit 1995). `[r]outine searches of the persons and effects of entrants are not subject to any requirement of reasonable suspicion, probable cause, or warrant.’ U.S. v. Montoya de Hernández, supra. . . . These searches `are reasonable simply by virtue of the fact they occur at the border.’ U.S. v. Flores–Montano, 541 U.S. 149 (2004) (quoting U.S. v. Ramsey, supra). Non-routine searches, by contrast, require reasonable suspicion. U.S. v. Montoya de Hernández, supra. . . . Though there is no hard-and-fast rule, and the Supreme Court has cautioned against `[c]omplex balancing tests,’ U.S. v. Flores-Montano, supra, whether a search qualifies as `routine’ or `not routine’ often depends on the `degree of invasiveness or intrusiveness associated with’ the search. U.S. v. Braks, 842 F.2d 509 (U.S. Court of Appeals for the 1st Circuit 1988) (listing numerous factors to consider). 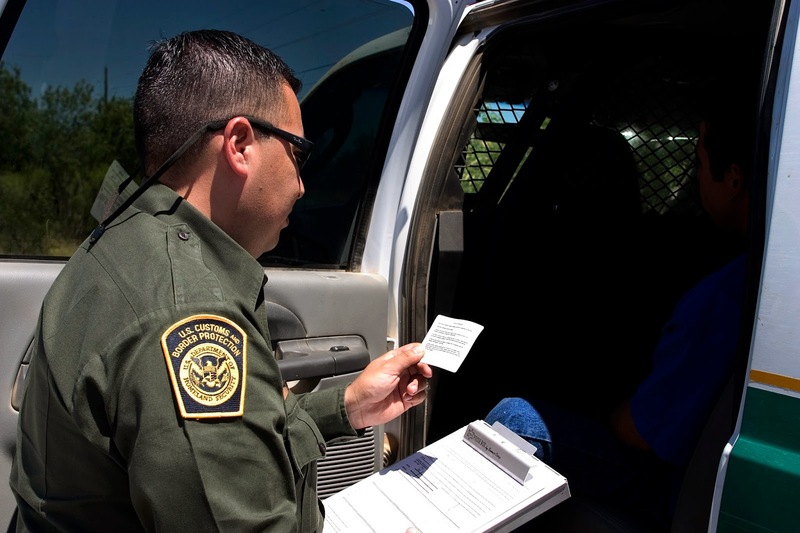 For example, searches that are `highly intrusive searches of the person,’ U.S. v. Flores–Montano, supra, such as strip searches and body cavity searches, have been deemed to be non-routine. . . . So have searches of property that are `destructive,’ U.S. v. Flores–Montano, supra, such as drilling a hole in a metal cylinder. U.S. v. Robles, supra. By contrast, pat-downs, searching luggage inside an aircraft's cargo hold, opening bottles of liquor and testing the contents, and removing, disassembling, and reassembling a fuel tank without causing damage have all been deemed routine searches. Molina argues that the search of his laptop and Playstation that led to the discovery of the two heroin bags constitutes a non-routine and unreasonable search. However, he is unable to point to any specific act that is either non-routine or unreasonable. Instead, his argument seems to be that because the initial X-ray and search of his laptop and Playstation turned up negative, and because his eighteen-hour detention at the hospital (to which he consented) showed that he was not carrying drugs internally, it was therefore unreasonable to detain his laptop and Playstation for further testing. And, even if it was reasonable to further detain the electronics initially, he contends, the detention became unreasonable during the twenty-two days they were at the CBP lab. The government, for its part, counters that the search qualifies as a routine border search and thus no suspicion at all -- let alone reasonable suspicion -- was necessary, but even if reasonable suspicion was necessary, that standard was satisfied. [w]e need not categorize the search as either routine or non-routine because we agree with the government that even assuming the search was non-routine, reasonable suspicion existed to justify the search. Reasonable suspicion exists when agents `demonstrate some objective, articulable facts that justify the intrusion as to the particular person and place searched.’ U.S. v. Robles, supra (quoting U.S. v. Uricoechea-Casallas, 946 F.2d 162 (U.S. Court of Appeals for the 1st Circuit 1991); see also Montoya de Hernandez, supra (describing reasonable suspicion as a `common-sense conclusio[n] about human behavior upon which practical people, -- including government officials, are entitled to rely’) (quoting New Jersey v. T.L.O., 469 U.S. 325 (1985)). [s]uch objective, articulable facts are present here. First, this was Molina's third trip in four months (each only for a matter of days) to Colombia, a country known for its connection to drug smuggling. Second, Molina gave odd and suspicious answers to routine Customs questions. These answers ranged from highly dubious—(1) he could not remember the last name of either the friend he was visiting (Camilo) or the friend who introduced them (Cynthia); and (2) all he did while in Colombia was stay in the hotel and play with his Playstation—to assertions proven to be flat-out lies—(3) he claimed to have purchased his ticket online with a credit card but in actuality paid for it in cash at a travel agency; and (4) he claimed to be working in Puerto Rico the next morning but in fact had a confirmed flight to New York City. Third, his laptop was old and operational, yet it contained no data. Finally, his phones contained text messages involving prior and future money transactions. Taken together, these facts easily give rise to a reasonable suspicion that Molina was attempting to smuggle narcotics. See U.S. v. Robles, supra (reasonable suspicion existed where a metal machine part of no commercial value was shipped `from Colombia—a known source country for narcotics’ to a residence in the United States at a cost higher than its worth, without insurance); U.S. v. Lamela, 942 F.2d 100 (U.S. Court for the 1st Circuit 1991) (finding reasonable suspicion where defendant, among other things, `was a passenger aboard an international flight originating in Colombia’ and `gave inconsistent responses to routine questions relating to the purpose of his travel’). . . .
initial X-ray of the electronics and the X-ray, CT scan, and bowel monitoring of Molina came up negative in no way alters this conclusion or transforms a legitimate and proper search into an unreasonable one. `Authorities must be allowed “to graduate their response to the demands of any particular situation,”’ Montoya de Hernández, supra . . . (quoting U.S. v. Place, 462U.S. 696 (1983)), and that is precisely what the CBP officers did here. The officers had reasonable suspicion that Molina was smuggling drugs; they just did not know where the drugs were hidden. There is nothing unreasonable about the officers shifting their attention back to the electronics and giving them a more in-depth look once they were satisfied that the drugs were neither on nor in Molina's body. To the contrary, this approach is eminently reasonable when one considers that a dog-sniff conducted while Molina was at the hospital showed interest in his laptop. unreasonable during the twenty-two days the electronics were detained. The Supreme Court has `consistently rejected hard-and-fast time limits,’ instead placing an emphasis on `”common sense and ordinary human experience.”’ Montoya de Hernández, supra (quoting U.S.v. Sharpe, 470 U.S. 675 (1985)). . . . Though twenty-two days does seem lengthy, it is not unreasonable under these circumstances. We will not second-guess the techniques used by the CBP lab and require that a faster alternative -- which could have damaged the electronics during the disassembly and reassembly process, could have put an unnecessary budgetary and workload strain on the lab, or could even have failed to detect the expertly hidden heroin -- be employed. See Montoya de Hernández, supra (`[C]ourts should not indulge in “unrealistic second-guessing,”’ . . . ‘[T]he fact that the protection of the public might . . . have been accomplished by ‘less-intrusive’ means does not, in itself, render the search unreasonable’ (quoting U.S. v. Sharpe supra . . . .). Thus, the search of Molina's laptop and Playstation did not violate his 4th Amendment rights. For these and other reasons, it affirmed the District Court Judge’s denial of his motion to suppress the drugs found in his electronic devices. U.S. v. Molina-Gomez, supra. Earlier this year in Houston, a private security video recorded an unknown individual approaching a commercial business location on foot, holding a wireless device to his ear. A minute later he lowered the device from his ear, pausing to look at it before putting it in his pocket. He then entered the business, committed a crime, and fled the scene minutes later. The relevant portion of the video-recorded sequence is about 6 minutes long. The Government seeks historical cell-tower log information from the towers in the vicinity of the business while the crime was in progress. These records may include the telephone call numbers and unique identifiers for any wireless device communicating via that tower; the source and destination telephone numbers for those communications; the date, time and duration of each communication; the tower sector handling the radio signal; and the type of communication (such as phone call or text message). The Government also seeks subscriber account information for the telephone numbers revealed by the cell tower log. The request does not seek precise location data, nor does it seek to track the movements of a particular cell phone over time. In re Application for Cell Tower Records, supra. [o]n February 10, 2015 the Government filed this application under section 2703(d) of the Stored Communications Act seeking somewhat unusual authority -- an order compelling seven different cell phone service providers to release historical cell tower data for specific towers providing service to a crime scene within Houston city limits at the hour of the crime. What is unusual is that, unlike most requests for account records under the SCA, the targeted account is not specified; neither the phone number nor the identity of the phone's subscriber or customer are currently known to law enforcement. By obtaining the records of all wireless devices using a nearby tower at the time of the crime, the Government hopes to identify the particular device used by the suspect and any confederates, and ultimately to enable their capture and arrest. granted the application, but modified the requested time window from one hour to ten minutes. Because there is contrary authority in this district as to the propriety of such orders (sometimes called `cell tower dumps’) under the SCA, the court issues this opinion to explain its rationale. [f]ew published opinions treat the subject of cell tower dumps. Three such opinions were issued by my colleague in Corpus Christi, Magistrate Judge Brian Owsley. In re Application for an Order Pursuant to 18 U.S.C. § 2703(D), 964 F.Supp. 2d 674 (U.S. District Court for the Southern District of Texas 2013); In the Matter of the Search of Cellular Telephone Towers, 945 F.Supp.2d 769 (U.S. District Court for the Southern District of Texas 2013); In re Application for an Order Pursuant to 18 U.S.C. § 2703(D), 930 F.Supp. 2d 698 (U.S. District Court for the Southern District of Texas 2012). The gist of these decisions is that (1) as a constitutional matter, the records sought are protected by the 4th Amendment, and therefore a warrant based on probable cause is required to access them; and (2) as a statutory matter, the Stored Communications Act (`SCA’) does not authorize this type of request. [m]ore recently, a magistrate judge in New York reached the opposite conclusion on both the constitutional and statutory issues. In the Matter of Application For an Order to Disclose Cell Tower Log Information, 2014 WL 4388397 (U.S. District Court for the Southern District of New York May 30, 2014) (Magistrate Judge James Francis IV). As explained below, I am constrained by binding 5th Circuit authority to agree with Judge Francis on the 4th Amendment question. As for the matter of statutory interpretation, I concur with Judge Francis's analysis and conclude that the SCA authorizes the compelled disclosure of cell tower log data. tower dump opinions by Judge Owsley were issued before the 5th Circuit decided In re Application of the United States for Historical Cell Site Data, 724 F.3d 600 (U.S. Court of Appeals for the 5th Circuit 2013). In a 2–1 opinion, that 5th Circuit panel held that orders for historical cell site records under the SCA did not `categorically’ violate the 4th Amendment. In re Application for Cell Tower Records, supra (emphasis in the original). As Wikipedia explains, appeals in the U.S. Courts of Appeals are “almost always heard by a `panel’ of three judges who are randomly selected from the judges” in that circuit. panel majority emphasized that its decision was a narrow one, and among other things expressly declined to address `orders requesting data from all phones that use a tower during a particular interval.’ In re Application of the United States for Historical Cell Site Data, supra. Even so, the 5th Circuit's reasoning leaves no doubt that the cell tower logs requested here would likewise be categorized as ordinary business records entitled to no constitutional protection. Unlike call location records, no federal statute confers upon the customer any proprietary rights in her cell phone number or account information. Having disregarded the customer's statutorily-conferred proprietary rights in location records held by the provider, there is no reason to believe the 5th Circuit would rule differently for records such as these, which are not the property of the customer. If the customer has no reasonable expectation of privacy in call location records, it follows a fortiori that he has no reasonable expectation of privacy in his phone number or account records. The net effect is that the 4th Amendment ground for Judge Owsley's rulings on cell tower dumps has been cut away, at least for the time being, in this circuit. We now turn to the statutory ground for these rulings. In the usual § 2703(d) application, the Government requests account records associated with a particular phone number, or the name of a particular subscriber or customer, or both. This typically results in the production of a set of records pertaining to a single account. Here, by contrast, the `selector’ is the cell tower in contact with all mobile devices at a given time, which might retrieve several thousand phone numbers in a metropolitan area like Houston. The question arises whether or not the SCA contemplates a single order compelling access to records from multiple accounts. However, this argument is effectively refuted by the Dictionary Act, which instructs courts that `[i]n determining the meaning of any Act of Congress, unless the context indicates otherwise, words importing the singular include and apply to several persons, parties or things; [and] words importing the plural include the singular. . . .’ 1 U.S.Code § 1. Thus the default rule of interpretation is to include both singular and plural, absent a contrary indication in the statute. 18 U.S. Code § 2703(d) (emphasis added). But this passage does not limit a records request to a single account or phone number. To the contrary, the reference to `unusually voluminous’ requests implies that a merely `voluminous’ request, perhaps encompassing multiple accounts, is within the contemplation of the law. the court's power to quash a voluminous request is triggered by `a motion made promptly by the service provider,’ suggesting that the initial judgment about what is too voluminous is the provider's call, not the court's. To be sure, the court has inherent power to limit the scope of the tower dump based on 4th Amendment privacy concerns, but again, the Fifth Circuit has found no reasonable expectation of privacy in cell site records. A court could also limit the temporal scope of the tower dump based on the Government's threshold showing of the `specific and articulable facts’ required by § 2703(d). For that very reason, I have reduced the relevant time window here from one hour to ten minutes. These considerations do not defeat or undermine the Government's position that at least some volume of multiple account records is accessible under a single § 2703(d) order. Accordingly, I concur with Judge Francis that the SCA authorizes law enforcement access to cell tower logs and associated account information. to avoid possible misunderstanding. This holding has no application to a related though very different investigative technique using a device known as a cell site simulator, sometimes referred to as a `StingRay.’ Like a cell tower dump, the StingRay device may be used to discover telephone and other identification numbers of wireless devices in a given location. However, there are several critical differences: (1) the device is deployed by law enforcement, not the provider; (2) the information obtained is transmitted in real time directly to law enforcement, not retrospectively via the provider's records; and (3) the device allows continuous real time tracking of the wireless devices in contact with it. is little reported case law considering the governing statutory authority for law enforcement's use of a StingRay device. In the only reported case from this district, Judge Owsley denied the government's application to authorize such a device under the Pen/Trap Statute. In re Application for an Order Authorizing the Installation and Use of a Pen Register and Trap and Trace Device, 890 F.Supp.2d 747 (U.S. District Court for the Southern District of Texas 2012). Law enforcement had intended to use the device to identify the telephone number of a cell phone used by a suspected drug dealer. 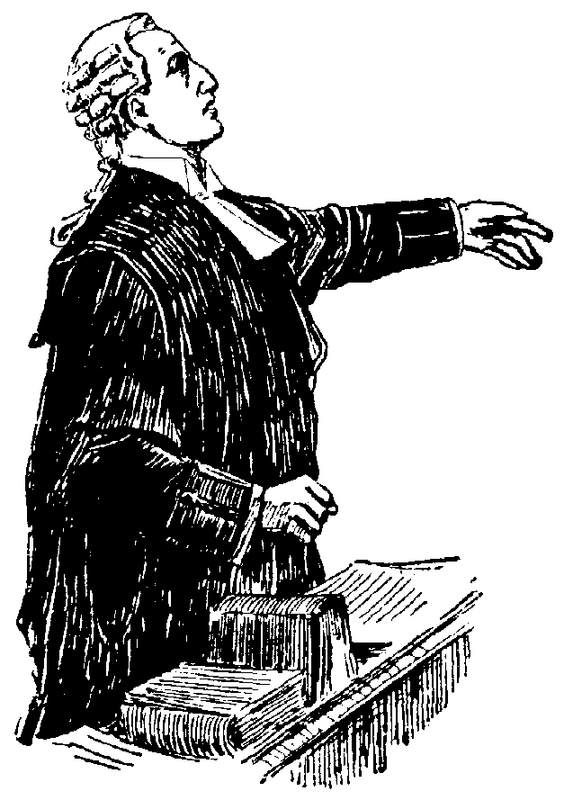 But as Judge Owsley persuasively observed, the Pen/Trap Statute requires that a pen/trap order must specify in advance `the number or other identifier’ of the targeted phone, in contrast to other information which need be specified only `if known.’ In re Application for an Order Authorizing the Installation and Use of a Pen Register and Trap and Trace Device, supra. In other words, Congress did not contemplate that a pen/trap order could be used to discover the phone number of the target phone. Another case suggests that a mobile tracking device warrant under Rule 41 of the Federal Rules of Criminal Procedure is the proper procedure for a cell site simulator, at least when the device is used to track the location of a target device. See U.S. v. Rigmaiden, 844 F.Supp.2d 982 (U.S. District Court for the District of Arizona 2012). The defendant, a fugitive charged with identity theft, was located by a cell site simulator that `mimicked a Verizon Wireless cell tower and sent signals to, and received signals from, the aircard’ connected to his laptop computer. U.S. v. Rigmaiden, supra. The government had obtained a Rule 41 mobile tracking device warrant for the cell site simulator, and conceded for purposes of [his] motion to suppress that `the aircard tracking operation was a 4th Amendment search and seizure.’ U.S. v. Rigmaiden, supra. authorize the use of a cell site simulator, and for good reason. The SCA is a record production regime, authorizing one-time access to account records in the hands of the provider, as opposed to the continuous real-time monitoring that a StingRay entails. See, generally, In re Order Authorizing Prospective and Continuous Release of Cell Site Location Records, 31 F.Supp.3d 889 (U.S. District Court for the Southern District of Texas 2014) (`Congress never intended the Stored Communications Act to govern ongoing surveillance’). Thus, even though the StingRay and the tower dump may both ultimately yield the same information -- the number or identifier of the cell phone used by a criminal suspect -- the manner of acquiring that information is very different, and entails a very different legal analysis. For all these reasons, the fact that a cell tower dump may be authorized by the SCA does not imply that a cell site simulator is likewise authorized under the SCA. In re Application for Cell Tower Records, supra. He therefore granted the govrnment’s application. In re Application for Cell Tower Records, supra. Laura Pauley Perrette and [Shivers] were divorced in 2004, and Perrette obtained a restraining order against [him] in 2006. The order prohibited [Shivers] from, inter alia, harassing, threatening, following, stalking, molesting, or disturbing the peace of Perrette, and from coming within 100 yards of her. Perrette and Arklie testified [Shivers] got within eight inches to one foot from Perrette's face, and smirked and smiled. Perrette became very upset, shrunk into her chair, and covered her face with her hands. [Shivers] pulled out his cell phone, held it out towards Perrette, and walked backwards while appearing to use the phone's video function. Arklie stood up from where he was seated, got in front of the table, and positioned his body to block [Shivers’] view of Perrette. Arklie, who was about 12 feet away from where defendant was holding his phone, stood next to the table, and told [Shivers], `You are not allowed to do that here.’ Arklie held his hand up in front of his face to avoid being taped. He denied threatening or assaulting [Shivers]. As [Shivers] backed away, pointing his camera in Perrette's direction, he screamed, `I have a restraining order against her. I have a restraining order against her.’ Video captured by [his] camera phone was taken from near the restaurant's entrance, and it showed the table where Perrette and Arklie were sitting. On the video, [Shivers] pointed to the table and stated, `He just threatened me. He just came at me threatening me.’ Gomes responded, `I know, I saw.’ [Shivers] asked, `You saw?’ to which Gomes responded, `Yeah.’ [Shivers] shouted, `Could you tell the manager here that I have a restraining order on that other person,’ and `He just came at me threatening me.’ Patrons . . . turned around to see why [Shivers] was shouting. Perrette was extremely embarrassed by the commotion. Perrette called 911 to report a violation of the restraining order. Prior to the police arriving, [Shivers] left the restaurant. [w]ith regard to the Penal Code § 653.2 charge, Perrette testified that, starting a few years prior to 2012, [Shivers] began posting comments about her on his Twitter website. Perrette was an actor on the CBS television series `NCIS,’ and persons who searched `# NCIS’ or Perrette's name on Twitter would find [Shivers’] posts. [He] repeatedly posted messages, or `tweeted,’ that Perrette `stalked’ him and made death threats against him, although Perrette had not done so. [Shivers] also falsely tweeted he had `restraining orders’ against her. Regarding the restraining order charge, [he] contends the court misinstructed the jury, erroneously failed to instruct sua sponte on self-defense, and erred in answering the jury's question. Concerning the harassing message charge, [Shivers] contends there was insufficient evidence presented at trial, and the court failed to properly instruct the jury on the elements of the offense. contends the court failed to correctly instruct the jury concerning the elements of Penal Code § 273.6, subdivision (a). `The independent or de novo standard of review is applicable in assessing whether instructions correctly state the law [citations omitted]. . . .’ (People v. Posey, 32 Cal.4th 193, 218 (California Supreme Court 2004). People v. Shivers, supra. As Wikipedia explains, in U.S. jury trials the jurors are the finders of fact, i.e., they decide whether the facts proven by the evidence introduced at trial “prove” one or all of the elements of the crime(s) with which a defendant is charged. To assist them in that process, the trial judge “instructs” the on the applicable law, by giving them oral (and usually written) instructions on the relevant law. As this site explains, in a criminal trial the prosecutor and defense attorney can each ask the judge to submit certain instructions, which they have drafted and submitted for the judge’s consideration. But judges can also submit instructions on their own; Shivers seems to be arguing that this judge failed to sua sponte submit certain instructions concerning the violation of a restraining order charge. People v. Shivers, supra. `Penal Code § 273.6, subdivision (a), provides it is a misdemeanor for a defendant to commit “Any intentional and knowing violation of a protective order. . . .” The court provided the jury with an instruction based on CALCRIM No. 2701. The court instructed that the People had to prove: `One, a court issued a written order that the defendant stay 100 yards away and must not harass, follow, disturb the peace, keep under surveillance, contact, telephone, or send messages or mail or email or take any action to obtain the location of the protected person. [¶] . . .
a violation of the restraining order could have occurred even if [Shivers] had not videoed Perrette. [He] could have been convicted based on coming within eight inches to one foot of her, or disturbing her peace by falsely shouting in the restaurant that he had `a restraining order against her.”’ Moreover, there was no requirement the People needed to show [he] knew his acts were unlawful. The requirement in Penal Code section 273.6, subdivision (a), that a defendant commit a `knowing violation of a protective order’ only refers to the requirement the defendant must know the order exists and be aware of what it states. (See People v. Saffell, 74 Cal.App.2d Supp. 967 (California Court of Appeals 1946).) Penal Code § 273.6 requires only general criminal intent (see People v. Greenfield, 134 Cal.App.3d Supp. 1 (California Court of Appeals 1982)), meaning a violation may be proved by showing [Shivers] knew of the contents of the order, and intended to do a proscribed act, such as harassing, disturbing the peace, or coming within 100 yards of Perrette. The People and [Shivers] stipulated at trial the restraining order was in full force and effect on the night of the incident, and that [he] had knowledge of the existence of the order. The court therefore did not err in instructing the jury that one of the elements of the offense was that `the defendant knew of the court order,’ and that the People had to prove this element. People v. Shivers, supra. For these and other reasons, the court affirmed Shivers’ conviction for violating California Penal Code § 273.6(a). People v. Shivers, supra. person is guilty if he or she electronically distributes a harassing message `which would . . . likely . . . incite or produce’ the third party's action. [Shivers’] reading of the statute eliminates the modifier `likely,’ and would criminalize the proscribed acts only if a person's message `incite[d] or produce[d]’ unlawful action. `”[A] statute should not be given a construction that results in rendering one of its provisions nugatory. . . . If possible, significance should be given to every word, phrase, sentence and part of an act in pursuance of the legislative purpose.”’. . . (People v. Hicks, 6 Cal.4th 7840 California Supreme Court 1993)) The plain meaning of the words used reveals no requirement that actual incitement or actual production of the enumerated unlawful effects be caused by a person's electronic distribution of a message. The only requirement is that a defendant's message is likely to incite or produce third party actions. People v. Shivers, supra (emphasis in the original). circumstantial evidence was sufficient to permit a reasonable trier of fact to conclude defendant acted with intent to incite or produce unlawful action by a third party who read his messages. [Shivers] electronically distributed messages about Perrette using Twitter, which, as shown by the evidence at trial, is a public social networking website on the Internet where users can write and respond to short messages. Twitter constituted an `electronic communication device’ within the meaning of the prohibited communications statute. (See California Penal Code § 653.2(b)) [including Internet web pages and websites within the definition of `electronic communication device’].) The evidence showed a person's tweets posted on Twitter can be read by the public and spread to the websites of other Twitter users by being retweeted, so that a single tweet may be repeated and disseminated throughout numerous web pages accessible to the public. posted messages on Twitter such that persons searching for Perrette's name could find his tweets. Also, by using a hashtag for the show (`# NCIS’) and the location (`# Cahuenga’), third parties searching on Twitter would also come across defendant's tweets. Several of the tweets were made in response to persons who had read defendant's tweets, and other tweets had been retweeted by third parties, indicating to defendant that third parties were accessing the information he posted and his tweets were being disseminated. The tweets leading up to the ones posted on July 4 and July 8, 2012, falsely indicated that [he] had a restraining order against Perrette and that she was stalking him and making death threats against him. The July 4 and July 8, 2012 tweets referenced the area of Cahuenga where Perrette lived. These tweets also referred to Perrette as defendant's `stalker,’ and requested that readers `call LAPD!! !’ and `report her to LAPD immediately!’ if they saw her following him in the area. [i]t can be inferred [Shivers] knew that persons who encountered Perrette after reading his tweets could have been motivated to report her to the police for what they believed was her stalking him, or to otherwise harass her. (See California Penal Code § 653.2(c)(1) [defining `harassment’ as `conduct directed at a specific person that a reasonable person would consider as seriously alarming, seriously annoying, seriously tormenting, or seriously terrorizing the person’].) Given the nature of Twitter and the provocative contents of [Shivers’] tweets, a reasonable trier of fact could conclude [he] posted his tweets with the specific intent to incite or produce unwanted physical contact, injury, or harassment at the hands of a third party. People v. Shivers, supra. For these and other reasons, the Court of Appeals affirmed Shivers’ convictions. People v. Shivers, supra. Bank Fraud, PayPal and "Loss"